Part 1: What Sections Should You Include in a Business Proposal? 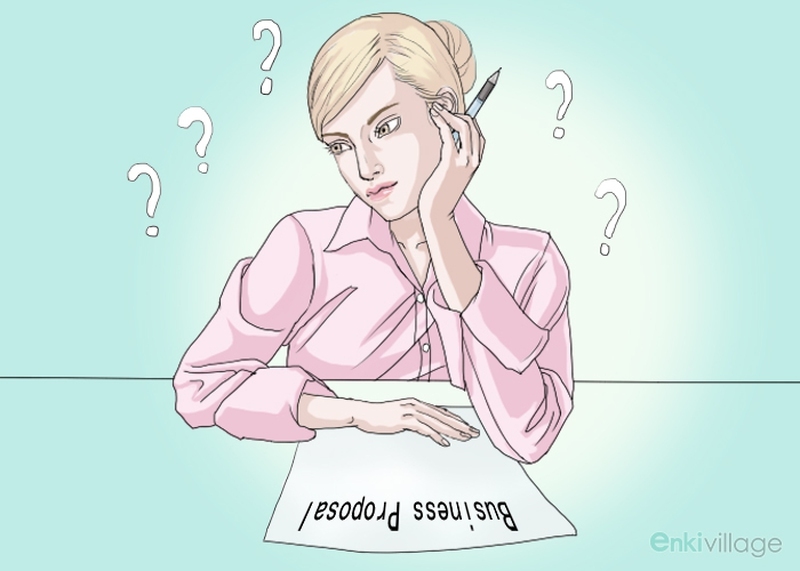 One of the most essential documents that you should learn how to write is a business proposal. How well it is written can be the determining factor between the failure and success of your enterprise. As an entrepreneur in today’s competitive business climate, you may find all your attempts at submitting business proposals to potential clients quite futile. On the flip side, others may seem to be able to hit the nail on the head, getting the contract after only one proposal. If you want to find out how to write a business proposal, read on to knowthe sections and steps to write a business proposal, along with useful tips. Begin with a summary which clearly and concisely states the purposes of the business proposal. The summary should immediately follow the title page. Begin this section with a brief description of the industry, highlighting both the current performance as well as the future outlook. You should also include information on all the markets that are included within the industry, with the description of new products or development that may have an influence on your business. These can only be determined from a thorough analysis of the market. This will help the entrepreneur to identify the target market and to properly position the company to attract sales. This involves identifying the strengths and weaknesses of the other businesses in your industry. A competitive analysis will help you to plan strategies to build your edge, as well as ways in which you can stop further competition from entering the market. In this section you will outline the design features of your product. Map the course of how the product will be developed from the point of design to production. You will also create a budget to help the company to meet its goals efficiently. This will highlight how the business functions on a day to day basis. It will point out the roles and responsibilities of every team and division within the company as well as the budget for each sector. This last section is of no less importance than the others. Here you will point all the income and expenditures of the business. Your business proposal is likely to be thrown out if the customer does not know who you are. If your proposal does not follow a template prescribed by the customer, it will be thrown out. A proposal in which the executive summary is not clearly written will be thrown out. Your proposal must bring value to the customer and will likely be considered if it fulfills all the above mentioned criteria. The following steps point out how to create a proposal that can overcome all four barriers. A winning proposal must fulfill the criteria of the customer. The only way you will be able to determine the decision-makers for that customer is to do your research. One of the best ways to achieve this is by interviewing key players in the decision making process such as accountants, HR personnel, marketing analysts, etc. You should take note that each of these groups will use different jargon and present different sides of the issue. You should make sure to tailor the language and structure of the proposal to each potential reader. Build a public presence through networking, doing public relations campaigns, sponsor groups and events, and advertise. Build a personal presence by way of making sales calls, sending emails, texts, and having customer meetings. Spend some time thinking over any potential problems or issues the client may be facing. Consider how your business can help them. Come up with ways that you can present your offer in a credible way and how you will go about bringing about the solution to the issue. The body of the business proposal contains the meat of the matter: your plan of action, all the people involved, your previous successes in this area, past customers in a similar area, your level of competence in the field and financial aptitude. Many customers have predefined templates in which they want proposals to be submitted. If this is the case, then be sure to use it. Go over your proposal with a figurative fine-tooth comb to catch any typographical and grammatical errors. If you use standard material across different proposals, you should make sure to tailor the content to match the current customer. Double-check to ensure that you have not left the names of other customers within the proposal. Many business proposals have been thrown out for this reason. Beyond editing the proposal on your own, it is helpful to hire a professional copyeditor to go through the document as well. Consult with experts. There are many books on the subject to choose from and anyone who has written successful business proposals are more likely to understand the jargon used in the world of business. Make your personality shine. A proposal for a literary magazine will be different from one describing a cell phone repair store. Show your expertise and passion for your field by using the lingo of your industry. Proofread, proofread, and proofread. Typos and grammatical errors will take away from the professionalism of your business proposal. Use visuals. Your proposal should be eye-catching and reader-friendly. Make use of clip art, cool graphics, and well organized layouts. Consider your readers. Never forget that a proposal is a critical marketing tool. Consider Marketing 101 and emphasize the BENEFITS. Only begin to talk about price and go for the sale after you've captivated the reader with pointed writing, strong arguments, supporting graphics and a ton of potential benefits.